English author, mathematician, logician, Anglican deacon, and photographer, Charles Lutwidge Dodgson, better known as Lewis Carroll, was a master of literary nonsense, word-play and fantasy. 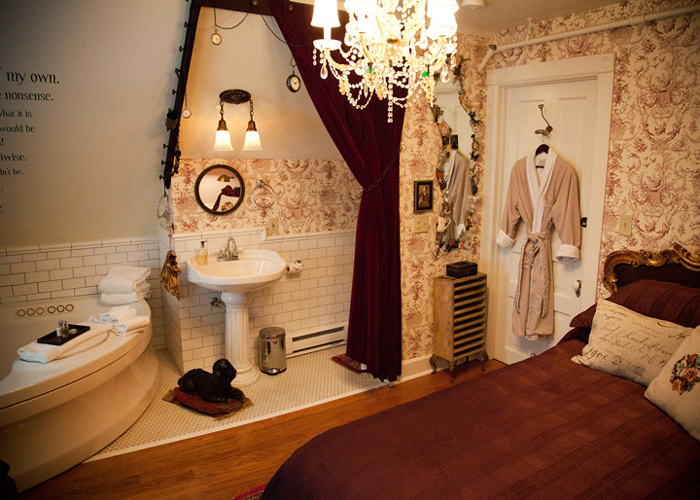 Best known for his books Alice’s Adventures in Wonderland, and Through the Looking-Glass, Carroll would certainly be amused by this whimsical bedchamber tucked under the eaves on the third floor of the inn. 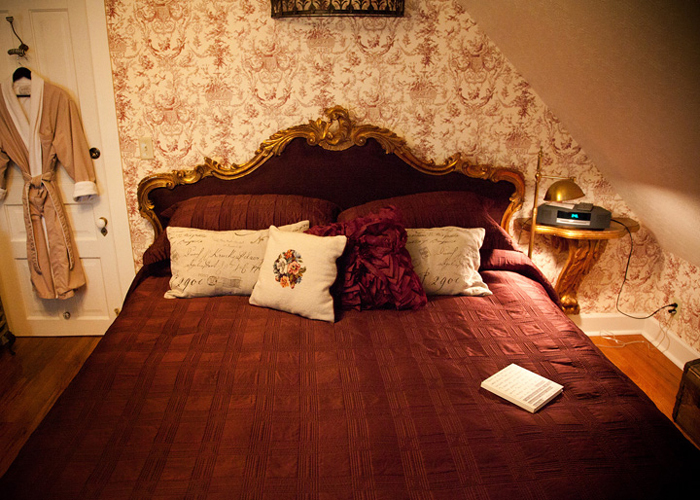 This charming bedchamber provides an enchanting get-away with a king-sized bed, and a surprise in every nook and corner. An elegantly framed portrait of a mischievous Cheshire cat, a top hat fit for a Mad Hatter, dangling pocket watches, old box cameras, vintage Queen of Hearts playing cards, and a quirky wall mirror framed in a fantastical mosaic will delight overnight guests. A corner fireplace and a jetted tub with underwater lights and waterfall faucet complete the magical setting.